Sometimes an idea just outlives its usefulness and it's clear that that's exactly what has happened to the idea that you "never trade within your division." That particular philosophy seems to be a relic of days gone by. 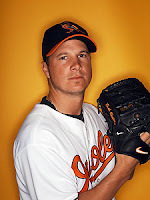 I was talking recently with a fan of the Baltimore Orioles and we were discussing Eric Bedard. I mentioned that I thought they should send him to the Boston Red Sox for Jed Lowrie, Lars Anderson, and Michael Bowden. His response, of course, was that the Orioles wouldn't trade within their division, which got me to thinking about just how illogical that philosophy really was. The idea that you shouldn't trade within your division is seemingly as old as baseball itself. While there was a time when it was a sound philosophy, free agency has changed all of that. 1) There was limited access to talent, so depriving your opponent of players was almost as important as acquiring talent for your own organization. 2) The team who owned the player's rights could control them for as long as they wanted, so trading a player within the division meant that he could be playing against you for a decade or more. The player had no independent ability to leave that organization. For example, you wouldn't trade, say, Babe Ruth to a division rival, because that rival could utilize his services to torment you for the next 16 years. Given those two facts, it made sense to not deal with your direct competition, as by not trading talent to your divisional rival you were denying him access to talent he simply couldn't acquire anywhere else. However, that's just not the case anymore, as free agency has created a new labor market where anyone can shop for players. In the modern game, free agency has completely altered the labor market for players. In the past, you either had to develop you're own talent or trade for it. There was no way to sign veteran players, so the methods of acquiring players were limited. That's not the case with free agency, where any team can go onto the market and sign a veteran player to add to their lineup. The emergence of this new labor market has undercut the trade philosophy. In fact, not only does the philosophy no longer make sense, the benefits and burdens of the philosophy have completed inverted and now cut against the team that implements it. In the modern game, the burdens of not dealing within the division are no longer borne by the opposition, but rather they are internalized by the organization who uses the strategy. The scarcity of available talent and the ability to control that talent is what made the philosophy tenable. Obviously, free agency has eliminated that scarcity and subsequently the effectiveness of the philosophy as well. The decision to not trade with a division rival no longer deprives the competition of rare, controllable talent, but rather deprives your own organization of the ability to maximize value of its assets. Again, the Orioles and Bedard are the perfect example. By choosing not to deal him within the AL East, they are removing two of the most valuable suitors from the mix. When trying to trade players, most organizations WANT the Yankees and Red Sox to be in the mix, as they drive the trade value of the player up. In addition, the existence of free agency removes the scarcity of talent and provides the Yankees and Red Sox of another means of acquiring talent. The reality is that the philosophy doesn't really hurt them at all, as they can sign an equivalent to Bedard next year in free agency. 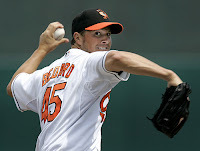 In the grand scheme of things, does it really matter to the Yankees and Red Sox if they trade for Bedard or sign C.C. Sabathia as a free agent after the season? Both are going to provide equivalent production, so what have the Orioles gained by not trading within the division? They can no longer deprive the opposition of talent. So, they will still be facing a top flight lefty, but now they'll do so without having maximized the value they received for Erik Bedard. So, the decision really only reduces the value the Orioles get for Bedard, rather than harming the AL East competition in any appreciably manner. The changing business model means that it's well past time to throw the "don't trade within the division" idea into the fire, as it just isn't a sound principle anymore. The lack of scarcity of talent means that depriving division rivals of talent just isn't effective anymore, so all it really does is reduce the demand and value you can get for your own player. If you are trying to deal a truly unique talent like Johan Santana, for whom there is no equivalent replacement on the free agent market, then the scarcity returns and there may in fact be value in not trading him within the division, but outside of that the modern marketplace has simply made the philosophy obsolete. Ninja Stealth Detrimental to the Reds?